Financial Boost for Social Entrepreneurs Impacting Women in Africa, Haiti and U.S.
RSF Social Finance recently invested over $900,000 in four women-led enterprises that are creating opportunities for women and girls around the world. The investments, in the form of loans and grants, bring the total amount disbursed from RSF’s recently formed Women’s Capital Collaborative to more than $1 million. With the funding from S.F.-based RSF Social Finance, a mission-based lender and impact innovator, these companies can grow without compromising their social missions, as often happens when social enterprises use traditional funding sources. The goal of the Women’s Capital Collaborative, a gift-money fund, is to provide diverse forms of catalytic capital to women social entrepreneurs at critical moments. The leading contributors to the fund are women who want to drive deep social impact and level the playing field for women entrepreneurs. The new funding includes $906,000 in loans—the first four issued from the Collaborative—and two grants totaling $40,000. RSF previously granted $150,000 from the Collaborative to women entrepreneurs participating in a Shared Gifting Circle. Three of the four organizations receiving loans advance women by providing economic empowerment, education and other benefits in the U.S. and internationally. All four were founded by women and are pursuing significant growth opportunities. 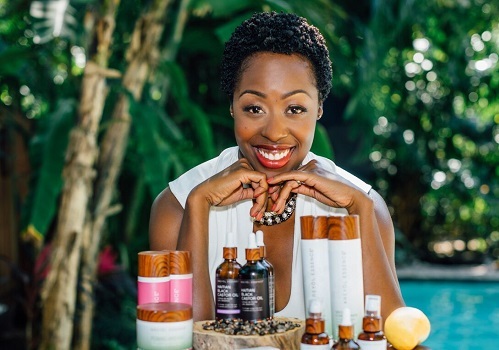 Women like Yve-Car Momperousse, founder and CEO of Kreyòl Essence, which makes natural products with ingredients from Haiti and is formulated specifically for those with dry hair, dry skin and curly hair. A “Haitian girl born in Brooklyn who lives between Florida and Haiti,” Momperousse worked as director of diversity at Cornell University where she also received a master’s degree in international development with a focus on agriculture, prior to embarking on entrepreneurship. Momperousse launched her venture after experiencing a “hair-catastrophe” that saw her hair fall out after she had it straightened at a salon. Between tears, she was determined to find the miracle oil her mother had told her about, Lwil Maskriti, otherwise known as Haitian Black Castor Oil. When she couldn’t find any in her local store, Momperousse decided to make the “liquid gold” accessible to anyone who needed it. 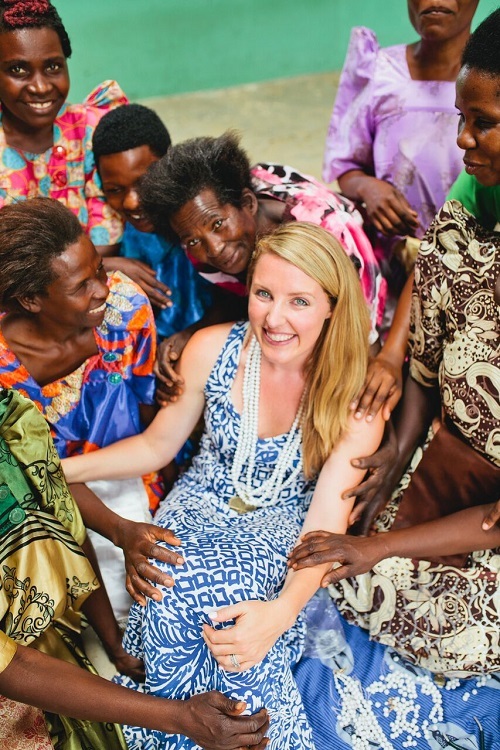 The social entrepreneur emphasizes the importance of funds that focus on women-led ventures. “Across regions, studies show women entrepreneurs are less likely to have access to capital,” she says, citing the World Bank that says even when women have financing, the terms tend to be less favorable. It’s a surprising reality considering the many findings that demonstrate that when you invest in a woman, you support an entire community. Brittany Merrill Underwood would probably agree. She’s the founder of the Akola Project, a rapidly growing jewelry business that employs women facing high barriers to employment. Translated as “she works” in the local Ugandan dialect, Akola was created in 2006 while Underwood was a sophomore at Southern Methodist University. Through training, dependable living-wage work opportunities and holistic programs, the initiative empowers women who then can transform their families and communities. Akola Uganda has been in operation for 10 years and supports over 400 women who provide for close to 4,000 children in their communities. In 2015, Akola expanded to Dallas to train and provide jobs to women in urban poverty through production opportunities and a distribution center that serves as a second-chance job program. Akola Dallas has partnered with local nonprofits to provide work opportunities to more than 100 women in South and West Dallas. Akola faces constant challenges as they grow and develop with their mission leading the way. “We are currently working on scaling our model as a retail brand so that we can further our mission to empower more women in their communities both domestically and internationally,” shares Underwood. And while they chose to structure the business as a nonprofit to ensure that women remain their key stakeholders and that all profits are reinvested into the social mission, that decision is not without obstacles. “Scaling a retail business under a nonprofit framework does have its challenges as it relates to funding opportunities,” she explains. Akola also received the capital needed to fulfill orders from their accounts with major retailers, including Neiman Marcus and the Home Shopping Network. “By providing Akola with a line of credit for purchase order financing, the Women’s Capital Collaborative has provided Akola with the resources to continue and expand its mission of empowering women in poverty to become agents of transformation in their communities,” she says. These types of funds are crucial, Underwood reiterates. “At Akola, we know that women are the backbone of their families and communities, yet are often overlooked.” With the emergence of the social finance movement and impact investing, initiatives like RSF’s Women’s Capital Collective offer a real opportunity to not only make those invisible women visible but to enable sustainable and much-needed change in communities for years to come. Elisa Birnbaum is the publisher & editor-in-chief of SEE Change Magazine and the host of its podcast. Her first book, In the Business of Change, profiling social entrepreneurs across the globe tackling challenges in their communities and their lessons learned, will be published this May.